I hope you are enjoying your day with your near and dear ones. 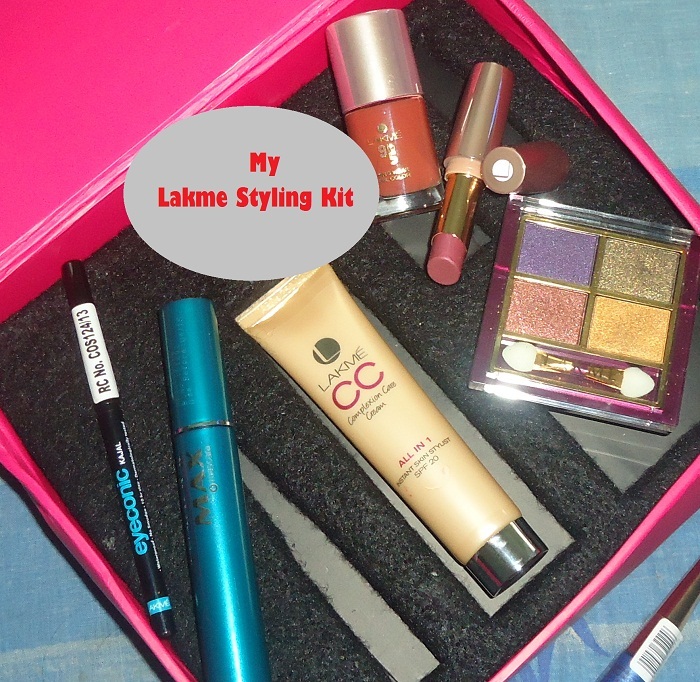 You may be knowing I held Lakme CC contest, out of which 4 winners were chosen now, it’s time to show you what looks these winners came up with using their Lakme styling kit. Yesterday was an extremely busy day and I was busy with arranging the participants images So, I thought I will share the looks with you all. Eye makeup: It is my favorite part, I was extremely excited to get Tanjore Rush In my kit as it has great colors that suits out traditional outfits beautifully! I Used the Golden colored eyeshadow on the inside half of the lids and then the coppery shade in the middle followed by the olive green shimmery shade on my crease. I loved the effect the three colors gave. 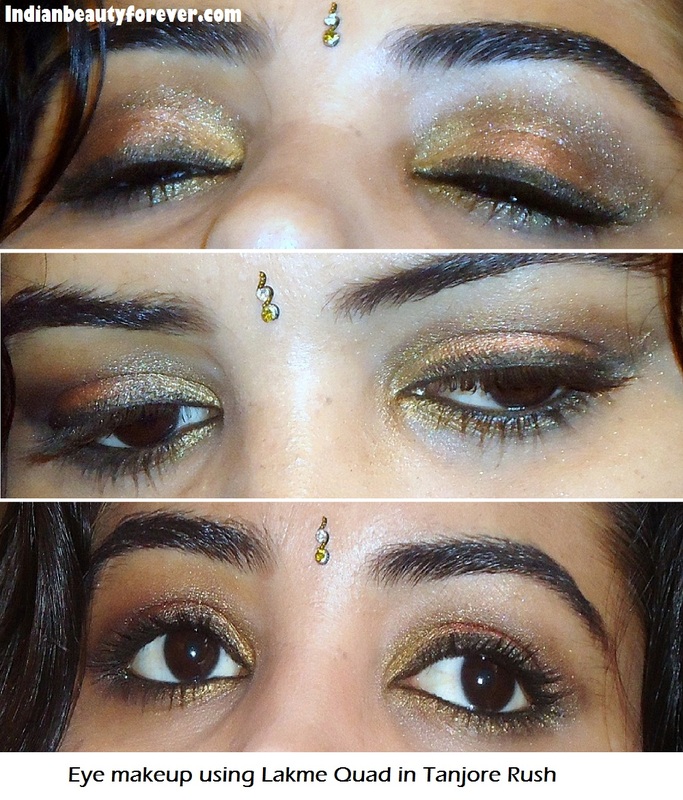 I lined my eyes with the Lakme Eyeconic kajal and used the same golden and coppery color underneath the lower lash line. 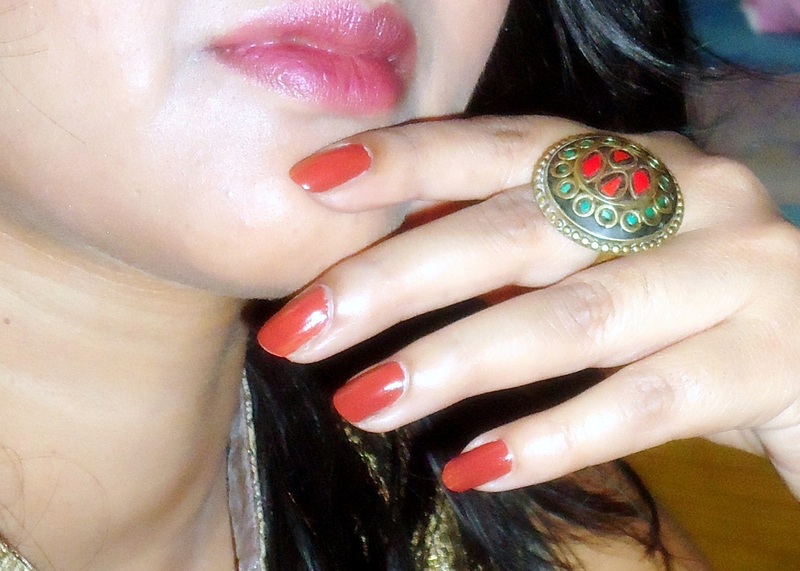 Lips: In my Lakme styling kit, I got this beautiful rosy brown color from Lakme 9 to 5 range called Rose management. I think it complements the eye makeup and the colors used excellently! I really loved your look Nidhi, You look beautiful and your eye makeup is gorgeous and perfect for neutral lovers. so so so pretty nids! all the best. Nidhi, you have flawless skin like baby's complexion. nice! Beautiful make over with the Lakme products. Just like Rimmel, Lakme is hard to come by over here though it was so popular at one time. I have used the eye products and I just love the simmer in it. Nids, you are looking gorgeous dear :) You have a very healthy skin. 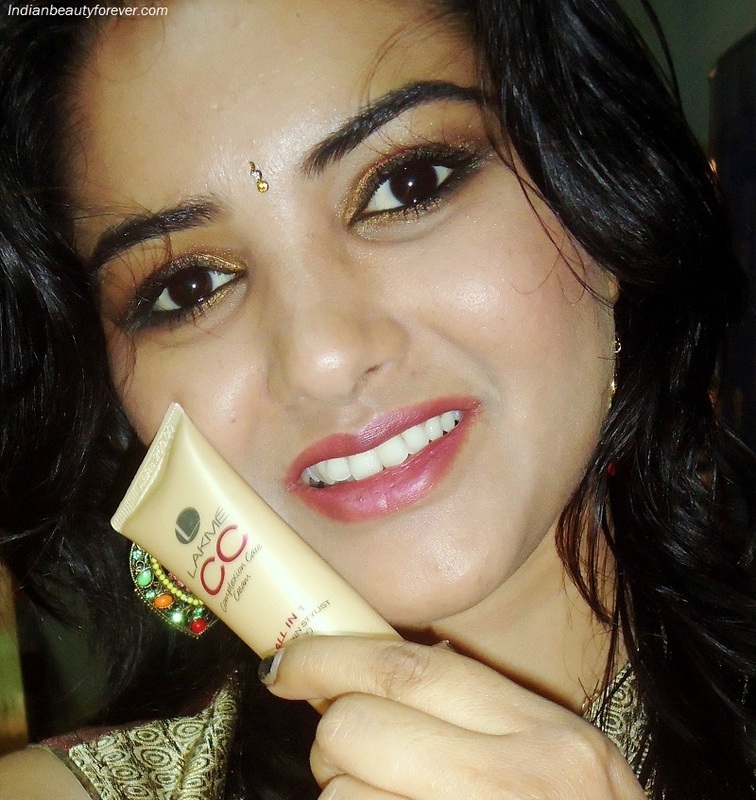 Only CC cream is doing wonders.